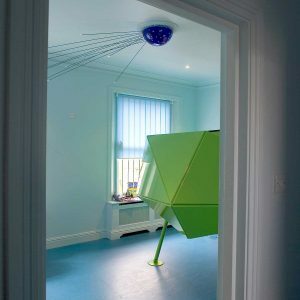 Brief: To create a series of architectural interventions to the Client’s double fronted Victorian house, introducing new activities to the children’s bedrooms, home office and circulation space between the 2nd and 3rd floors. We wanted to ensure each new element introduced would bring additional visual and functional clarity to the existing house, creating an exciting dialogue between old and new. 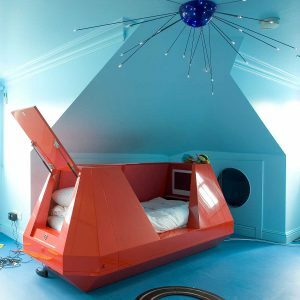 For the children’s rooms we designed 4 bespoke sleep pods, inspired by their wildest fantasies of space travel and bold exploration of far off galaxies. 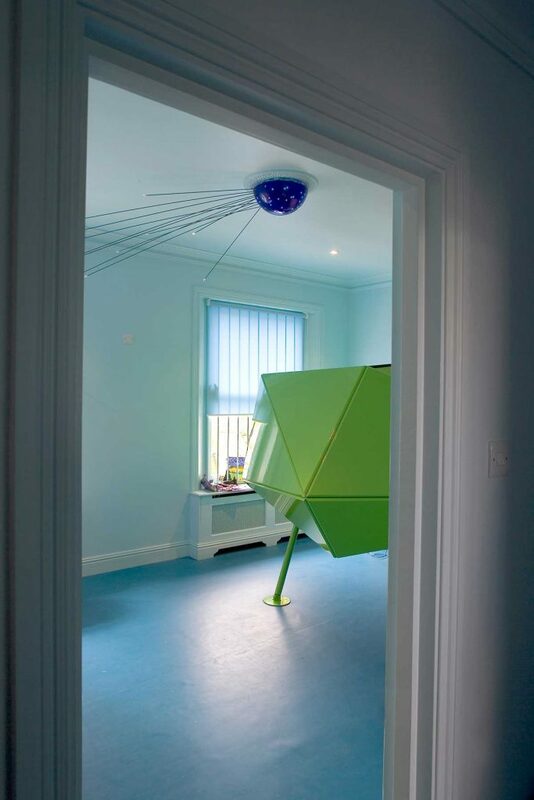 The shape, colour and configuration of each module was defined by the child’s specific interests and preferences, while all contained desks, TV’s, Playstations and integrated mattresses. 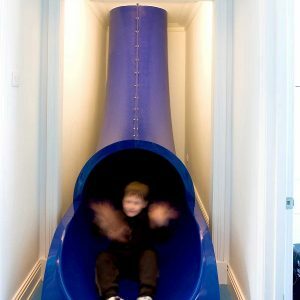 To further establish their dominion over the top floor the house, we introduced a slide connecting it with the floor below, giving the children their own means of circulation. 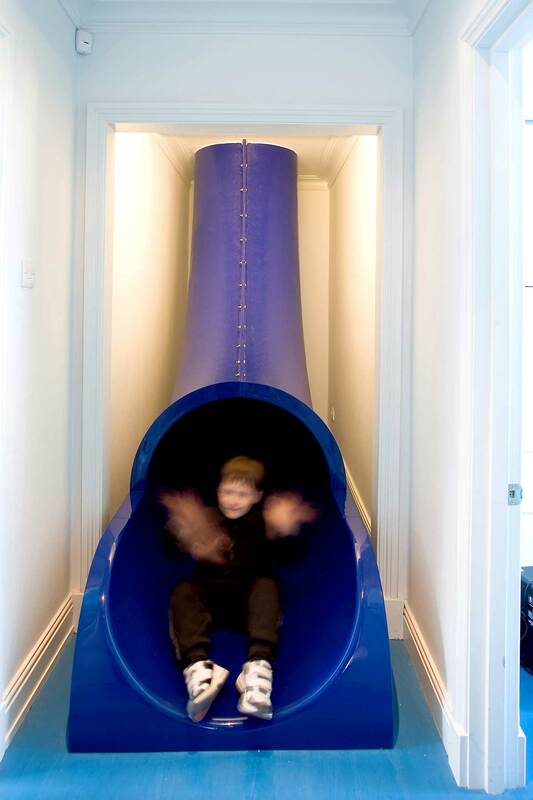 A series of Interactive tunnels circle the perimeter of the third floor begging to be explored. 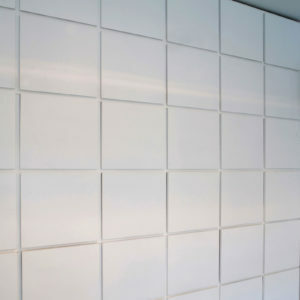 As they move through them, electronic sensors detect their presence, triggering playful light and sound displays. 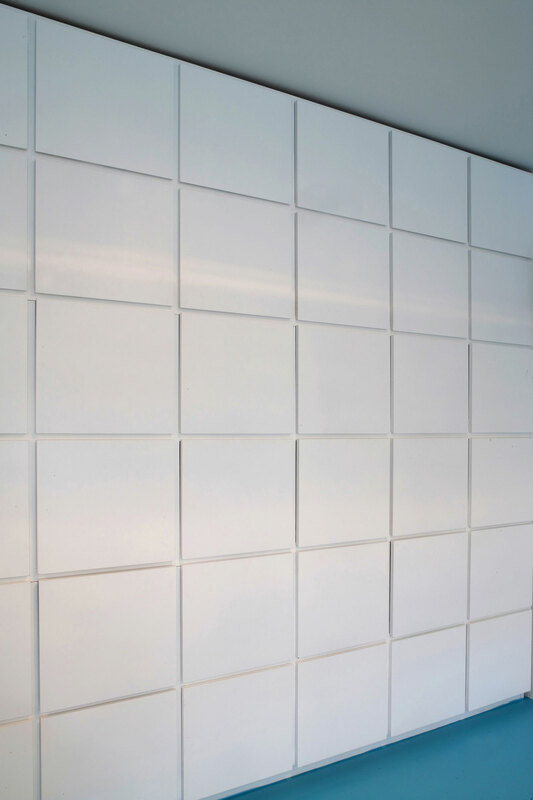 We built a home office in the garage so that the client, an art dealer and passionate car collector, could work in harmony alongside his beloved machines. 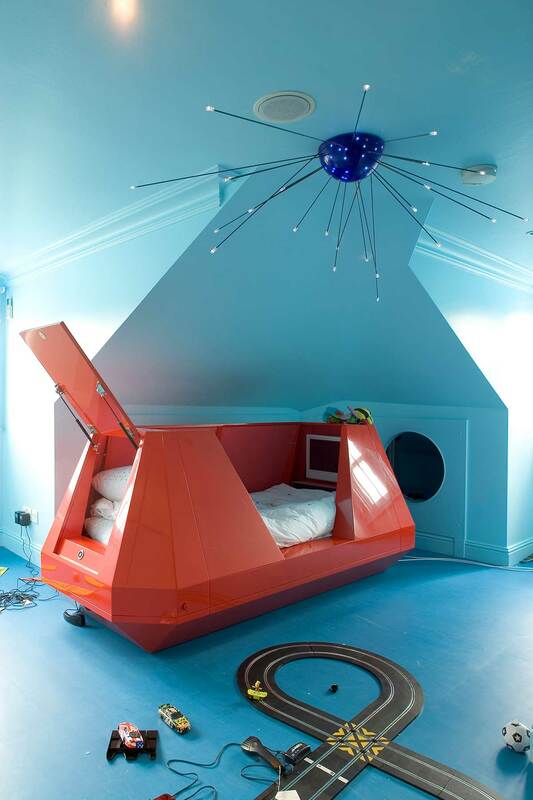 For this unique space we laid down a sky blue resin floor and placed a Massimo Morozzi desk behind a glass wall so he could sit and gaze out at his collection. 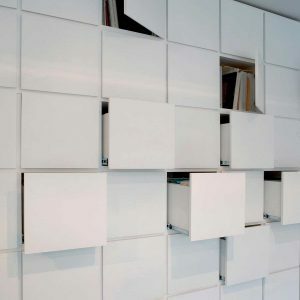 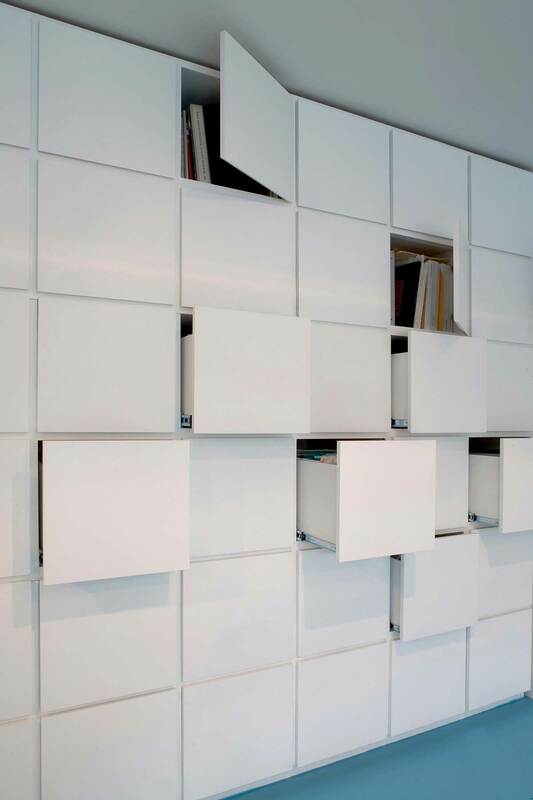 Towers of drawers are built into the walls, creating a large amount of storage while preserving the clean, open feel of the space.